If you thought the government was serious about climate change, think againDiscoveryLearn 5 ways that your bathroom can help solve your problemsDiscover how you can use your bath time to soak the stress away and find some quiet thinking time with bathstore. Here’s 5 useful tips to help you get started.Find out morePromoted by Bathstore[Opt out of Adyoulike ad targeting]The government has buried a disturbing report on climate change. 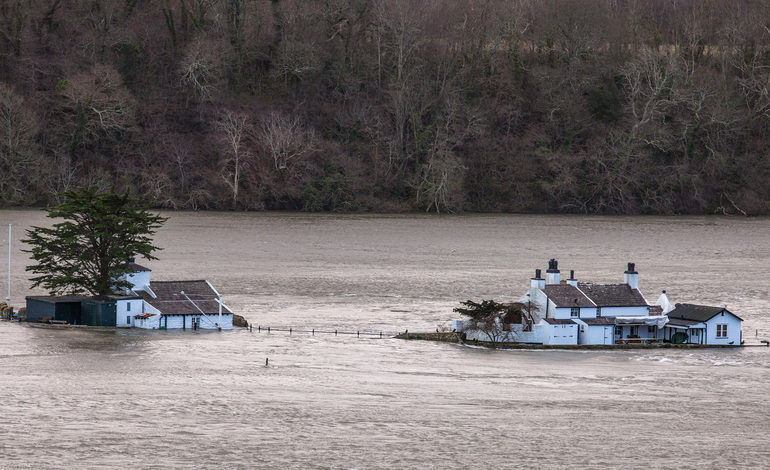 The UK Climate Change Risk Assessment Report [pdf] includes warnings about the doubling of deaths caused by heatwaves, a “significant risk” to food supplies, and severe flooding.But the report, published on 18 January, received little publicity. Environment Secretary Andrea Leadsom said nothing about it. The Department for Environment, Food & Rural Affairs (Defra) didn’t tweet about it. And mainstream media outlets didn’t cover it.Climate change is one of the UK’s biggest threatsIn July 2016, The Canary reported on SNP MP Mhiari Black’s argument on why the Trident missile system should not be renewed.She drew parliament’s attention to the government’s own National Security Strategy 2015 [pdf]. This document outlines tier 1 threats to the UK: international terrorism, cybercrime and climate change. It doesn’t include nuclear threat. We shouldn’t be worrying about a nuclear attack, but about severe weather and major flooding. These changes will affect the daily life and health of everyone. But elderly and disabled people in particular.This new report reiterates the dangers of climate change. Authors say that food supplies are at risk because of extreme weather in the world’s main food-growing regions. Dr Doug Parr, chief scientist at Greenpeace UK, said the report highlights that climate change is “one of the biggest security threats” faced by the UK.